BANGKOK, THAILAND - FEBRUARY 08, 2016 : Dragon dance performers work the street of Yaowarat during the celebration Chinese New Year and Valentine's Day. Yaowarat is a Chinatown situated in Bangkok. hd00:18Tianjin/China-March 25,2019: people performance folk drum dance on a temple fair to celebrate the birthday of Buddha. The folk arts of drum dance are listed as Chinese traditional cultural heritage. 4k00:09Ho Chi Minh City, Vietnam-January 25, 2017: Inside Thien Hau Temple, officially the Ba Thien Hau Pagoda, is a Chinese-style temple of the Chinese sea goddess Mazu. People with burning incense praying. 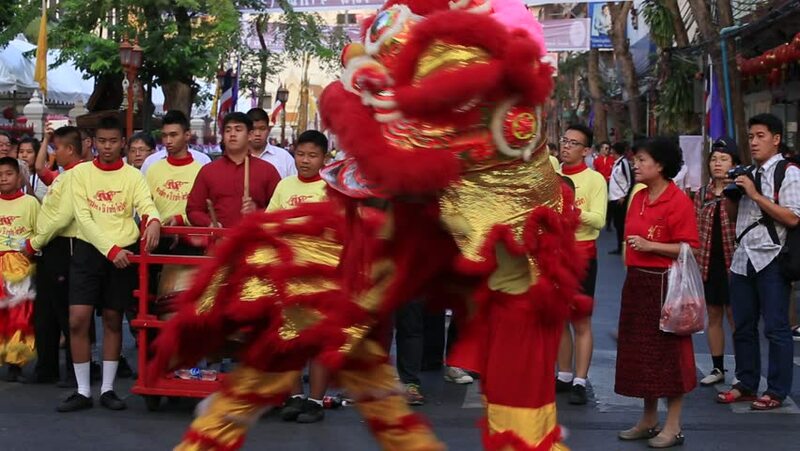 hd00:20BANGKOK, THAILAND - FEBRUARY 09, 2016 : Dragon dance performers work the street of Yaowarat during the celebration Chinese New Year and Valentine's Day. Yaowarat is a Chinatown situated in Bangkok. hd00:17video footage of a religious and traditional procession in the village of Chincheros near Cusco. The village is well known for his traditional market. April 2014.